The Executive Master in International Law in Armed Conflict (60 ECTS, equivalent to a LLM) is one of the few part-time, innovative and intellectually challenging programmes in the law of armed conflict offered today. The programme is designed for professionals with demanding jobs and responsibilities. It provides strong theoretical and practical knowledge and responds to the growing need for specialists to address complex humanitarian challenges. Based in Geneva, this executive programme runs for nine months (October–June) and admits 15 to 20 practitioners annually. Six to nine additional months are needed to complete a master’s thesis and defend it before a jury. Courses take place on Thursday evenings and Friday afternoons at our headquarters, Villa Moynier. They cover international law, international humanitarian law international human rights law, international criminal law and the interplay between them. They also address current issues and challenges, including the repression of terrorism, peacekeeping and international refugee law.  Taught by Geneva-based law professors and world-renowned law experts and professors, the programme enables participants to gain specialized knowledge directly applicable to professional work. 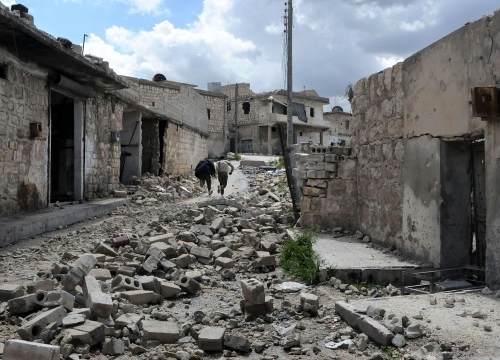 It also responds to the growing need for specialists to address complex situations – in Afghanistan, Colombia, Iraq, Syria and elsewhere – and challenging processes such as criminal proceedings, international negotiations and humanitarian interventions. Diplomats, lawyers, legal advisers, judges, NGO staff, human rights advocates, media specialists, professionals working in emergency situations, UN staff and staff from other international organizations share expertise, discuss pressing concerns and reflect on the application of international law to their work. The Executive Master perfectly complemented my experience in human rights law and laid the ground for future opportunities in the international humanitarian field.